You’ll also find out when to call the judge and when it can be avoided. Our faculty have taken hundreds of depositions – each. They know what works, and what will cause you problems. They have the strategies and experiences that come with years of experience and they will give you advice and guidance to help you succeed where they have. After hundreds of depos they have, of course, experienced any number of difficulties. They’ll share what they learned from their early mistakes with you, and how to avoid them, or recover from them when you or your witnesses slip up. Your faculty will first discuss your strategies and how to think about approaching depo choices from the start. They’ll move on to the nitty gritty advice surrounding handling documents and exhibits and making your record. Next they’ll walk you through successful witness preparation techniques. The expert depo is always a challenge. They’ll discuss that topic in depth as well. Later in the afternoon they’ll talk to you about how to successfully object, why and when you should or should not object in a depo and what your risks are. At the end of the afternoon they’ll give you advice regarding how to handle the difficult witness or opposing counsel – and that is something you are guaranteed to encounter during the course of your litigation career. Every bit of advice to help in these situations is invaluable. Finally, we’ll wrap up the day with a short mock depo/demonstration, that will allow you to see what your expert faculty has discussed all day in action — the good, the bad and the ugly. If you take or defend depositions, you definitely want to take this course – the insight, advice and strategies you will get this day will help you take and defend your depositions with skill, acumen and success for the rest of your career. Can’t attend? This program will be recorded live on March 15, 2019 in Chicago, IL. The audio packages, including seminar materials, will be available within two-three weeks after each live program date. If you prefer to go to the live program, click here. Understanding your goals and keeping your deposition goal-driven. Thoughts on preparing specific questions and outline of themes. Preparing for “unexpected” answers/objections or other difficulties. Other tips and tricks that may give you an edge. The witness keeps obfuscating or saying “I don’t remember” to everything, now what? “The panel covered every angle of approaching and completing a deposition. Great CLE. This was very helpful.” – Marrena Van Horn, Esq. “I’m currently knee-deep in depositions, and I wanted to make sure I’m doing it well. I came out with helpful tools and ideas.” – Mary Karagiannis, Esq. “Everyone was great – very knowledgeable about the subject matter and all speakers imparted great advice and insight.” – N. McLaughlin, Esq. “I appreciated the practical advice regarding how to deal with problematic situations which arise during the taking of a deposition.” – J. Scifo, Esq. “Very satisfied. Everything was very informative. Thank you!” Jenna McMahon, Esq. “Speakers used real life examples, which was incredibly helpful. Very engaging presentations!” – G. Nae, Esq. “Everything was great. Each speaker was so informative and provided great examples and tactics. I learned a lot of useful information.” – K. Sifuentez, Esq. “This was very informative. Better than reading books about the topic.” – J. Lin, Esq. “I thought all topics covered were informative and to the point.” – M. MCallister, Esq. “Satisfied. Michael Leonard was very engaging, especially with the role-playing. Andrew Porter and Paul Greenwalt made good use of videos.” – Ken Walden, Esq. “Lots of good material and examples.” – M. Faller, Esq. “I learned a lot about expert witnesses, which would be useful in one of my current cases.” – J. Kumar, Esq. “Porter and Greenwalt are very good speakers.” – Caitlin McNulty, Esq. “Thought all speakers were very interesting and informative.” – J. Young, Esq. “I liked the anecdotes for examples.” – J. Davenport, Esq. “Good coverage.” – S. William, Esq. Paul E. Greenwalt III, Esq. Paul E. Greenwalt concentrates his practice in commercial and civil litigation involving a wide range of matters, with an emphasis on securities litigation, regulatory matters and disputes involving manufacturers and distributors. He practices in courts throughout the country, at both the trial and appellate levels, and also has substantial experience in both arbitration and mediation. Paul specializes in representing clients in unique “one-off” matters and helping them find creative and cost-effective solutions to litigation issues. Samera concentrates her practice in handling complex multi-party litigation matters in the areas of employment law and general commercial litigation. She also advises individuals and corporations in employment-based immigration compliance matters. Samera has been recognized as a Illinois Super Lawyers "Rising Star" from 2008 through 2012 and has frequently spoken at the American Conference Institute Forums. An extensive bio with recent case experience can be found on Samera’s firm website, linked above. Of her extensive experience, she recently represented a large national retailer in multiple nationwide class actions alleging claims under state consumer fraud statutes in connection with the sale of services. Samera represents and counsels employers in federal, local and state employment law matters including wrongful discharge and workplace defamation. Published decisions include Achanzar v. Ravenswood Hospital, et al., 326 Ill. App. 3d 944, 762 N.E.2d 538 (1st Dist. 2001) (affirming defense verdict on appeal for alleged workplace defamation). Mariangela Seale is a problem-solver who cares deeply about her clients. For Mariangela (better known as Merili), that means working tirelessly to make sure their legal needs are accomplished in an efficient and effective manner. Though she has successfully represented clients in a wide range of complex and challenging lawsuits in jurisdictions across the country, Merili starts by looking for ways to circumvent protracted litigation, either through compelling and persuasive legal arguments or the negotiation of beneficial settlement agreements. In addition, she regularly counsels businesses on their general legal matters. Merili has defended corporations encompassing all aspects of the litigation and alternate dispute resolution process in cases involving consumer fraud, deceptive trade practices, breach of contract, trademark infringement, trade secret misappropriation, and product liability. She prides herself on developing creative legal strategies that are designed to achieve her clients’ goals. Kelly Warner not only understands how to get the job done, she knows how to do it strategically, efficiently and with a smile. Her razor-sharp logistical instincts are perfectly balanced by her engaging, approachable manner and stellar communications skills. In dozens of complex internal investigations, Kelly has guided clients to identify and root out wrongdoing at all levels of organizations. In regulatory inquiries, Kelly’s collaborative and creative approach creates opportunities for her clients to efficiently address the government’s interest. In commercial litigation, she has led teams of attorneys prosecuting and defending actions in state and federal courts nationwide. Kelly’s ability to communicate and bring people together includes a cutting-edge knowledge of technology and the law. She is the exception to the rule that most people who are skilled at understanding technical complexity are not very good at communicating about it. This combination helps her to help her clients manage risk, avoid discovery pitfalls and detours, and uncover the facts. 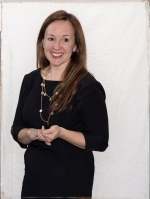 Kelly works closely with her clients to ensure they are fully leveraging technology as an offensive and defensive tool. Even in matters where she has not been retained as trial counsel, clients come to Kelly for assistance developing litigation strategies that conserve resources and meet clients’ needs. Kelly has investigated and litigated cases involving allegations of breach of contract, fraud, defamation, trade-secret misappropriation, sexual harassment, unfair competition, negligence, and violations of federal criminal law, including the Foreign Corrupt Practices Act (FCPA). She also has partnered with clients to develop internal compliance policies, including codes of conduct, anti-bribery and litigation readiness policies, and to train employees on these procedures. Prior to attending law school, Ethan graduated from the University of Michigan’s Ross School of Business and worked for nearly five years as a business and IT consultant. Ethan is an Adjunct Professor at Northwestern School of Law, teaching in its prestigious trial practice program, where he has also coached its mock trial teams. IL General: This program is approved for 7.5 units of general CLE in Illinois until March 14, 2021. IL Professional Responsibility: This program is approved for 3.0 units of Professional Responsibility CLE in Illinois.